Sweet Dreams at Reno, 2012, by Jim Jordan. At approximately 3:30pm today, an airplane crashed during a qualifying heat at the Reno Air Races. Lee Behel, age 64, from San Jose, CA was piloting a GP-5 racer called “Sweet Dreams” when the crash occurred. This was a single-plane accident and no other pilots or spectators were injured. Flying was suspended for the day while the accident is investigated. Normal flight operations are expected to resume Tuesday morning. The event will be open to the public starting Wednesday, September 10. Lee Behel was an experienced pilot and one of the original members of the 2002 invitation only Jet Racing Class. Behel got his jet experience while flying for the Nevada Air National Guard over a 24 year career. Behel now flies in the Sport Class which he co-founded and served as its current president. 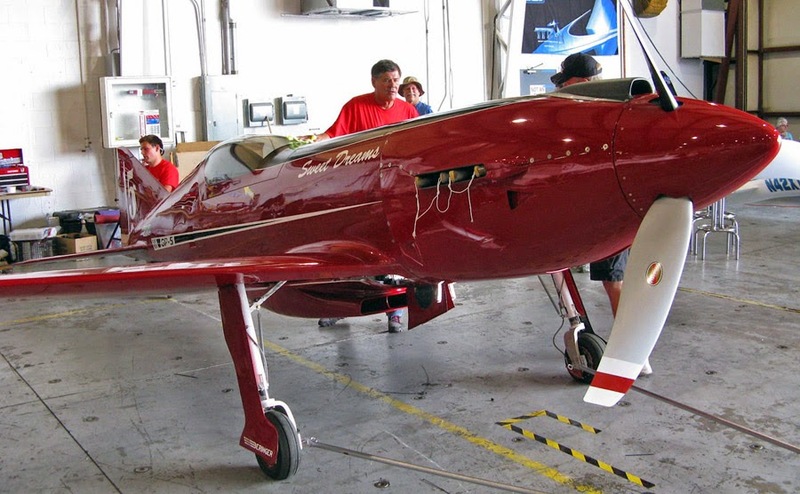 The GP-5 is an experimental lightweight, single-seat, propeller driven airplane designed for Sport Class racing. The primary structure is built primarily of wood. The motor is a V-8 with approximately 500 horsepower. The plane has qualified at speeds over 360 miles per hour in previous years. Officials for the Reno National Championship Air Races will not speculate on the cause of the accident. The FAA and the NTSB are investigating the crash and will be evaluating all race planes before they return to the race course. The Air Show is planning a tribute to Behel and will take place later in the week. The Air Show and Races run September 10-14, 2014.